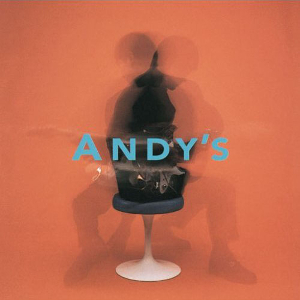 ANDY’S is the debut album of a of prolific guitarist Masahiro Andoh. It features numerous other musicians, including arranger and keyboardist Tadashi Namba, Andoh’s temporary counterpart in prominent Japanese fusion band ‘T-Square’. The tracks from this album also appear in the Gran Turismo Original Game Soundtrack, which was released two years later. In fact, this solo album came out around the same time at Masahiro Andoh was working on the first instalments of the Arc the Lad series, the music from which has received a lot of praise. This album is also worth similar praise, for its rock and jazz fusions, and further reasons behind which I will now explain. The first track “Moon Over the Castle” is the main theme for Gran Turismo and has featured in each of the games so far, receiving ten rearrangements through the course of the series. “Moon Over the Castle” starts off in orchestral form with a slow paced string section introducing the main melody. The melody is spot on, as is the shift into the full-blown and manic rock segment which directs the rest of the track and successfully creates the image of being put in the driving seat of one of the game’s many powerful cars. Within this segment we hear some emphatic guitar solos with a forceful underlying drum rhythm to craft what is certainly the most powerful and passionate track on the album. The theme is well thought out, most noticeable as it recapitulates on the opening orchestral segment towards the end to highlight the original string melody. It is easy to see why this theme has become so important in the Gran Turismo series since it has everything which is desired from a main theme (i.e. it has a memorable melody, it has authority, it has direction, and it has the ability to stand alone). Alongside this, the album also features a few relaxing tracks with a calm sound, such as “Like the Wind,” “Freedom to Win,” and “More Than Loving,” three gorgeous themes with reverberant solo lines from saxophonist Steve Tavaglione. These smooth saxophone-infused tracks add a soulful touch to the album. One track which could also be considered as relaxing would be “Second Chance,” a vocal theme in which the vocalist, Joseph Williams, struggles to reach a few hilariously high notes. The vocal execution (a deliberately ambiguous word) of this track may be way off, but the underlying music is just as good as what Andoh has produced on the rest of the album. A few bad tracks aside, if you are a fan of laid back jazz or creative progressive rock music then you will certainly enjoy this album. However, I would only suggest buying this album if you are a T-Square fan; otherwise, go ahead and buy the Gran Turismo Original Game Soundtrack which features the same tracks (and more). Either way, it is still a very enjoyable experience and is certainly the work of a great musician.